Owner Who Sold Off All His Team's Best Players Wants Team To "Find A Way To Win More Games"
“Developing a culture here, a winning culture, sometimes it takes a little bit of time. I like how the guys are at least going about their business. No one is happy with the results, go in the clubhouse they’ll tell you the same thing, but it’s a long season. We need to try to get a win tonight. I am particularly enjoying the emphasis on finding a way to win more games after the Marlins traded four outfielders who combined for 20.4 WAR in 2017. 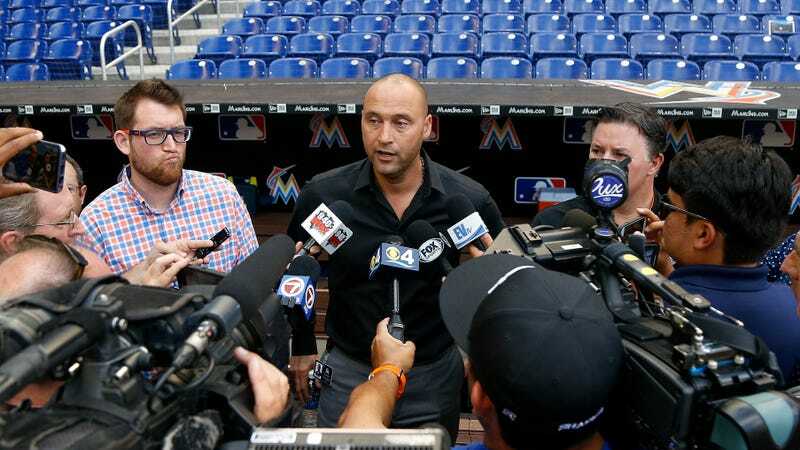 The franchise’s offseason moves were transparently about making the Marlins cheaper, so that the new ownership group could more quickly pay off debt incurred in the purchase of the team—to the extent that paying good baseball players to play for your team is a pretty tried and true way of winning games, exploring traditional ways to win will have to wait. Right now the Marlins are 4-9, with the second-lowest run differential in the National League. As for the fans: The Marlins are averaging just 12,062 fans per home game, more than 3,000 fewer per game than the second-lowest average home attendance in baseball, and about one quarter of the average attendance at a Dodgers game. The team averaged just 6,556 fans per game over their three-game series with the Mets last week. No one should go to Marlins games.